There is a reason why your tires are so important to your safety – if one fails, you could be seriously injured or killed. According to the federal government, there are more than 10,000 tire failures per year. This number does not include tire events that are improperly mistaken for blowouts, road damage, or other causes. The number of tire failures spikes in the hotter months of the year (summer) and especially in the Southern states. Tire failures, such as tread or belt separations and blow outs usually occur at highway speeds. Tire failures can happen from belts separating from the carcass or belts separating from upper or lower belts. A hidden condition, such as poor adhesion between steel belt layers, can be exacerbated by improperly inflated tires, impact damages, and improper repairs. Once you have a tire failure, the driver of the vehicle often times loses control. Tire failures on taller vehicles, such as trucks and SUVs, can increase the risk of rollover, leading to even more life-threatening hazards for the occupants of the vehicle. Every year, tire companies recall hundreds of thousands of tires due to safety hazards associated with tire defects. Unfortunately, most tire defects start on the inside of the tire and are not visible when visually inspecting your tires. Another hidden danger involves the age of your tires. It is well known within the tire industry that heat and oxygen are a tire’s worst enemy and over time, this lethal combination can cause a tire to fall apart from the inside out, resulting in a tread or belt separation. Tire manufacturers put a code on the sidewall of your tire. This code tells you the age of your tire. Most consumers do not know how to read this confusing code, and the tire companies don’t tell you when your tires have “expired” and should be exchanged for newer tires. The attorney at Hill Law Firm has pursued in excess of 100 tire failure cases against tire manufacturers such as Michelin, BF Goodrich, Uniroyal, Goodyear, Dunlop, Cooper, Firestone, Bridgestone, Continental, General, Pirelli, Nexen, and Yokohama, in Texas and throughout the US in states such as Arizona, California, Florida, Georgia, Indiana, Nevada, New Mexico, New York, Oklahoma, Tennessee, and Utah. Our attorneys have traveled to Italy and Korea to depose key factory workers at tire plants. We have the knowledge and resources to pursue your tire case and protect your rights. If you or a loved one has been injured by a defective tire, contact the San Antonio Tire Defect Lawyer at Hill Law Firm today. 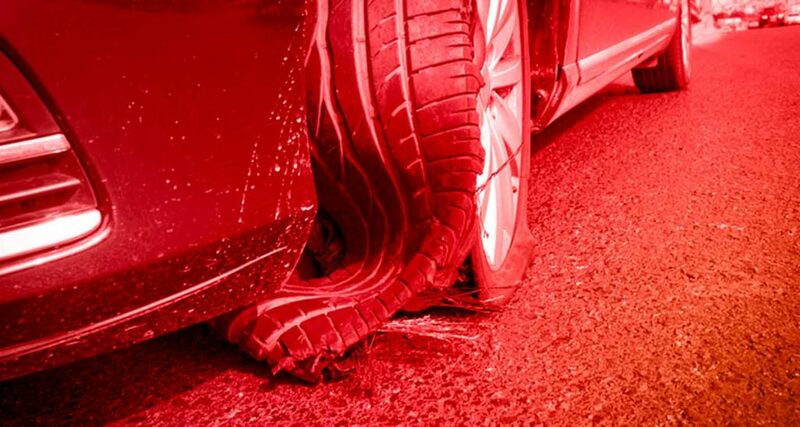 It is important to preserve the evidence, such as the tire and tread fragments and immediately inspect the scene of the accident, so do not delay.